10 tips to help you choose the right contractor for your new house so that your dream home won’t become a nightmare building project. Finding the right contractor is crucial when building a home. For the next year you will be working with this person (or team of people) on a regular, sometimes daily, basis. Choosing a good contractor is almost as important as choosing the right spouse for life. Just kidding, but seriously, it is a really big & important decision that will affect your life for years & years to come. 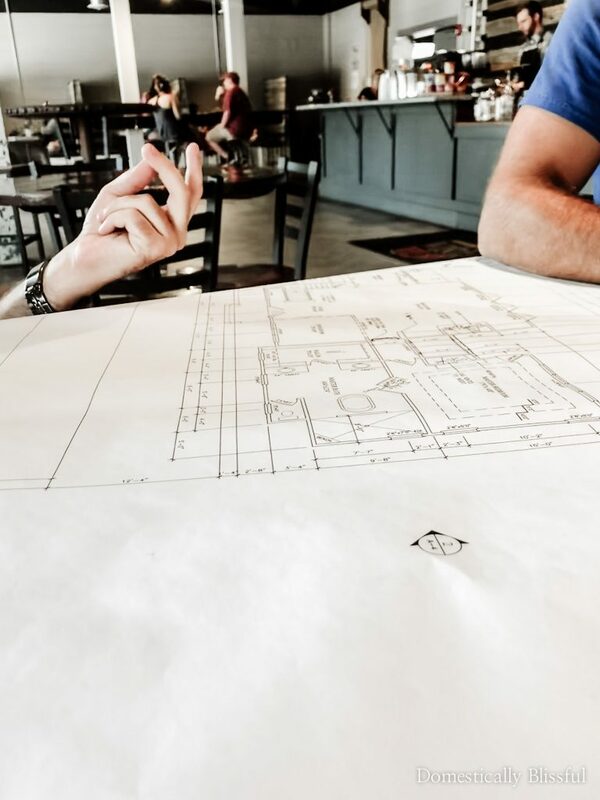 So I thought I would share our top 10 tips for choosing the right contractor for your new house so that hopefully you will have a smoother decision-making process. One of the first things you will want to do is to talk to people you know & trust to find out their experiences & who they recommend & who they don’t. One couple we talked to told us to stay far away from the contractor they were currently using to build their house. Another couple couldn’t stop recommending their contractor because loved their work so much. Talking to people you trust is a great first step in finding a great contractor. Everyone’s experience is different, so a contractor that was great for some other couple may not be great for you or your family, but this is still a good place to start your contractor search. A great way to find a contractor whose style fits your own is to drive through new neighborhoods. Not only will you find a whole lot of inspiration for your house building project, but you’ll be able to better understand the style of the contractor & the type of work they create. A quick & easy way to find contractors is to research them online. Look for the “best of the best” in the city, look at every page of their website, look at reviews on their social media pages (like Facebook), & then look for outside reviews on different websites from people who have personally worked with them. But don’t just depend on an online search. Some construction companies have gorgeous online websites, but they also construct 40+ houses a year, and that most likely means you will not be a priority and a custom house with them may not work the best. Other construction companies are smaller & run by older men who have been building sturdy beautiful houses for 30+ years & have a limited website because they are not worried about that part of their brand, business naturally comes to them. These guys are most likely good, but experience is not the only factor you should base your decision on. You really never know what you are going to find online. Once you have a list of contractors you can start calling the contractors, getting more detailed information (because as you research you’ll more than likely compile a list of questions). Also, be sure to see if they have any openings for when you hope to start building before you schedule an appointment. If you are working with a smaller business they may only commit to a certain number of houses a year & there could even be a waiting list. Once you have all of the information you can, narrow down your list to your top 3-5 contractors. Meeting with your favorite contractors is very exciting, but be sure to go to your meeting prepared. 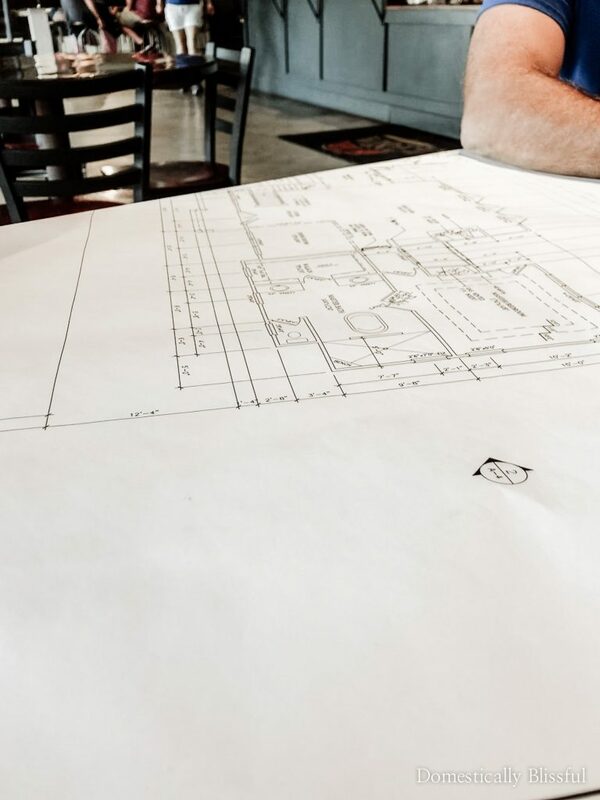 Have your house plans with you (they may want to keep them in order to make you a quote, you can get them back later if you decide not to work with them) & a list of questions to ask them during your meeting. There is no such thing as being too prepared or asking too many questions. You are going to be putting a lot of time & money into your house & there are some things that you will want & need to know before making your final decision on a contractor. During your meeting be sure to ask for references. Talking to someone who has worked with the contractor (especially if your only information about them has been from online research) can be very helpful in getting to know how that construction company works & what the process looks like when working with them. Also, you can ask the contractor you are meeting with if they are in the process of building any houses currently that you can walk through on your own time (or with them) so that you can get an even better sense of their style & work. However, when talking to the references for a specific contractor it is probably best to ask if they recieve any kickback or money for referring customers to that specific builder. I have heard of this happening before and I’m not sure of the trustworthiness of someone recommending a contractor in order for themselves to get a kickback. Chemistry is important in all relationships. And when you build a house you build a relationship with the construction company/contractor you hire. It is important that both you & your spouse get along with them because you will both be working with them for the next year (more on this later). Choosing an ethical construction company was very important to us. Roger may laugh sometimes at my extremely overactice conscious, or over-ethicalness as I call it (yes, I know that is not a word), but working with an ethical business ensures a good home build. No one wants to be cheated out of their hard-earned money, so talking to references (tip 6), friends, & family (tip 1) can be really helpful & eye-opening. Being able to depend on your contractor is extremely important. Knowing that they have your back & are invested in building you a solid & beautiful home is important. Again, you are putting a whole lot of money, time, & effort into the home so you want to make sure that the person who is building it cares & is dependable. Also, you want to make sure that both you & your spouse can easily communicate with your contractor. One of the construction companies we met with spent the majority of the meeting talking with Roger. There was barely any eye contact with me. And to me, this was a bad sign. I was concerned that if we did choose them they either wouldn’t take me seriously &/or they wouldn’t listen to me or take my calls during the building process. 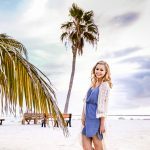 This is why I think tip #7 is really important! You probably want to see how easy they are to reach by phone call, text message, and/or email. Open communication is Paramount. Understanding the free quote is crucial!! But it is important to understand that not only will every company send you different (sometimes vastly different) numbers, but it will also be different formats making it nearly impossible to compare the quotes. Another thing to be aware of is that some contractors pay themselves based on “cost plus” while others prefer a “fixed price,” which can make comparing prices even more difficult. A cost plus method is where the builder has a set percentage they pay themselves based off of all building expenses, aka a receipt for wood of $100 with a cost plus method of the builder charging 15% would be $115 total for materials/labor and contractors fee. A fixed price quote, is pretty much turn key. Which means that the whole house will cost a certain amount unless you change things. So they can give you a $200,000 for the turn key cost, but it may only cost them $150,000 to build it. This method is harder to see if it is fair or not, and you should ask you contractor for futher information on which method they use or if they do it differently than either one of these. During our search these were the only 2 methods all the contractors we talked to used. It’s really, REALLY, important to make sure that you understand everything on the quote. If you don’t understand don’t hesitate to ask. There is nothing embarrassing about not knowing & asking for clarification. And it’s better to know than not know & pay for it (literally) later. In the end what matters the most is that you make a thoughtful, logical, researched, & prayerful decision as a couple. And hopefully, these 10 contractor tips help you with the research part of your decision-making process. After going through steps 1-4, we met with 4 contractors. One was way out of our budget, which helped us narrow it down to 3, & we knew that 2 of them built quality houses. While we loved the style we saw from one of the two contractors (tip #2), we knew they pumped out around 30 houses a year & our house would just be one of many to them. And since we knew that we would be making the styling choices ourselves along the way choosing them just because of style wasn’t enough. We also knew we wanted to work with a company that personally knew our home, was easily accessible for questions & changes, & was going to build our home with care & attention to detail. We may not be halfway through our home build yet, but we’ve never once wished we had chosen another contractor. 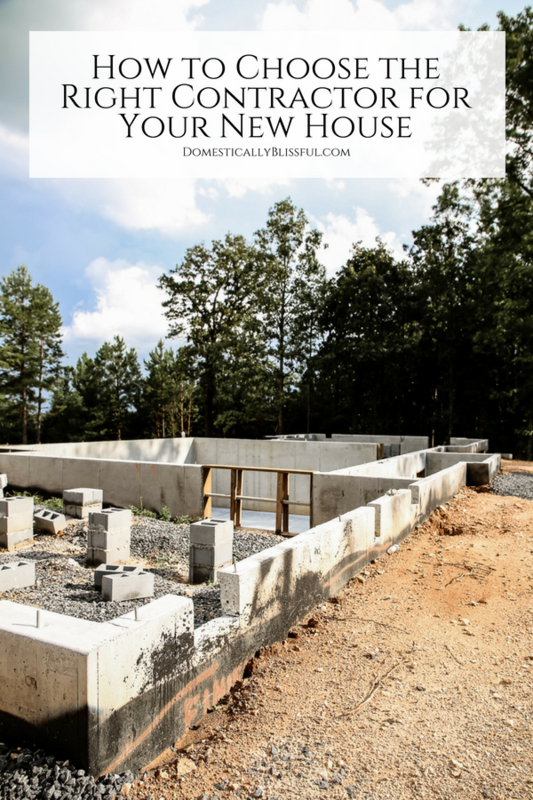 And I am so excited to share more of our house building process with you all! 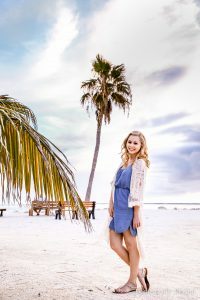 You can subscribe to my YouTube channel for video updates or subscribe to my newsletter below for more home inspiration, new recipes, & travel tips. What tips do you have for choosing a good contractor? I really enjoyed this article. Since I’ve been through the process (with your same contractor! ), I can definitely say that these are helpful tips for those who have never built their own house before. 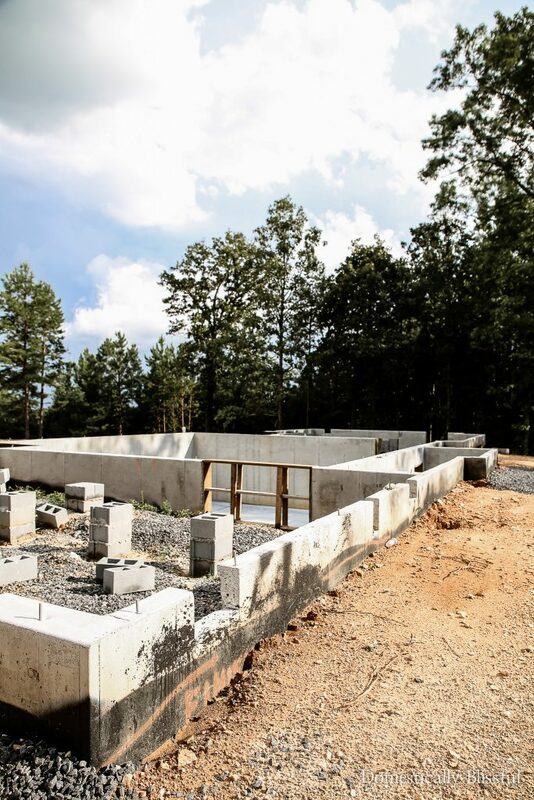 It’s very difficult to know where to start, and we found out quickly that the contractor was the most important thing you’ll choose out of the entire home building process. I know reading this will help a lot of people! Thanks, Kelsey for sharing your experience & for your kind words! We love working with our contractor & 8 months in we are still so happy we chose to work with them.